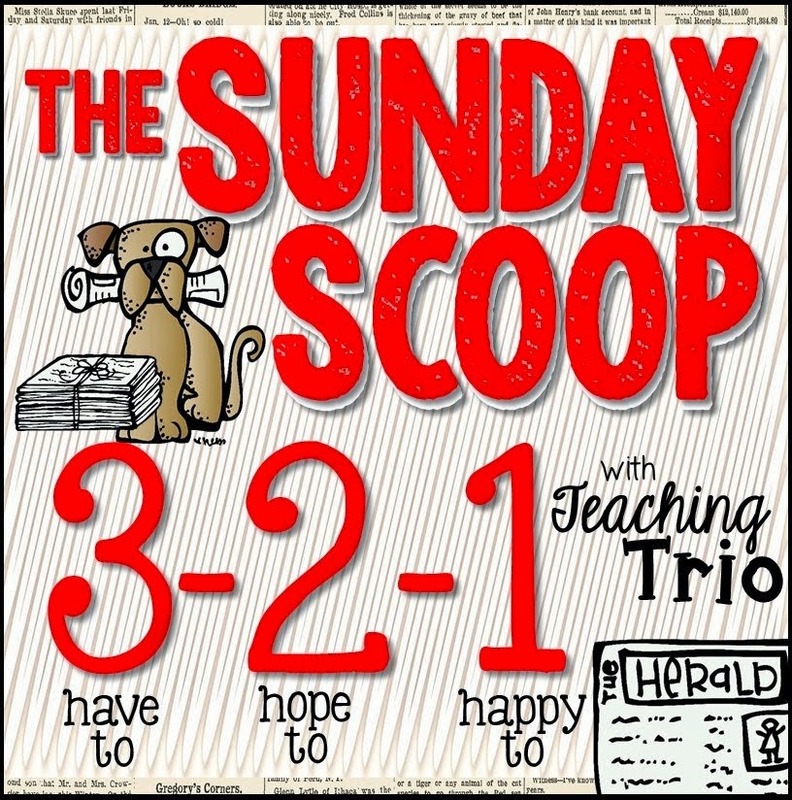 But its also time for the Sunday Scoop, thanks to the lovely ladies at The Teaching Trio! Here we go! I've established an App of the Month at my school, and this month I'm wanting to explain more about Google Docs. I need to get it set up so I can meet with my teachers before November gets away from us. My son is only 5, but his room goes from clean to disaster in about 10 seconds. We need to get in there today and get it straightened up. I've had to keep the door closed for about 3 days now because I just.can't.stand.it! My wonderful hubby washed all of the laundry yesterday while I was at a conference. While I'm so happy to not need to wash and dry the laundry, he did leave it on the couch to be folded. So that has to get done. I feel for you because PTC are exhausting. Our are on top of a normal week of school. I would love to hear more about this APP of the month thing as I am the district assistant tech person and run a lot of programs including staff tech PD. I just did Google Docs and Add-Ons this past week. A new product would be great, but I will settle for getting my six baskets of clean laundry folded...while I watch tv, of course. Have a great Sunday! Your week sounds a bit like mine - staff meeting and parent teacher meetings. Although ours only go on till 6 thankfully! Hope they all all go well! Phew. You're going to have a busy week. I hope all of your conferences go well. Sounds like your week will be extremely busy. I hope that it goes very smoothly so you can completely enjoy your Thanksgiving time off! 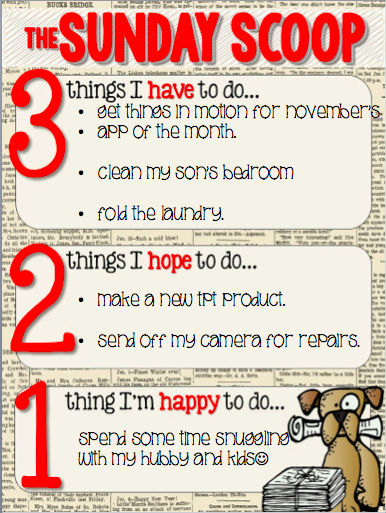 :) Thank you for linking up with us and have a great week!